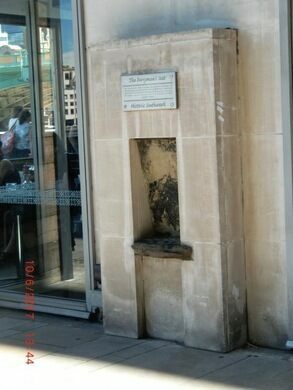 The last remaining example of the boatmen's perches that once dotted the south bank of the Thames. 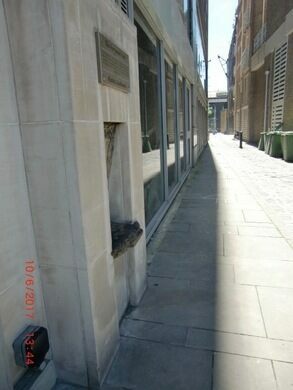 Situated within the wall of what’s now a restaurant in London’s Bankside on the southern bank of the Thames, is a rather inconspicuous slab of stone. It is the last remaining example of the boatmen’s seats that once dotted the South Bank. Before 1750, The London Bridge was the sole means of crossing the Thames in and out of central London. Ferrymen, or “Wherrymen” as they were referred to, would shuttle commuters and commodities in confined water taxis, or “wherries.” Stone seats lined the bank used as a perches where the drivers could wait for passengers. Many of the ferrymen were boisterous patrons of the nearby brothels (called “stews” because they doubled as bath houses), bear-baiting rings (from which the street gets its name), and theatres such as the Rose and Shakespeare’s Globe nearby. 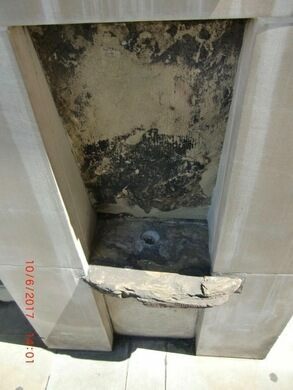 The seat itself is constructed out of flint. Though its age is undetermined, it’s thought to have ancient origins. Because of the hustle and bustle of the area, it's easy to miss. 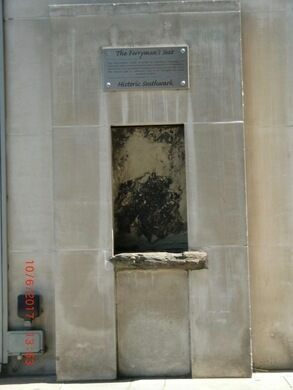 It's located on the wall heading east, past the Old Globe Theatre and before the Southwark Bridge, on a side street between Pizza Express and The Real Greek restaurants. Transport: London Bridge or Southwalk tube. Murals of the wild parties once held on the frozen River Thames. The London statue that imitates passersby.